High-priestly family which flourished about the period of the fall of the Second Temple.The name, with which may be compared Φαβέας (variant, Φαμέας), that of a Carthaginian general (Suidas, s.v. 'Αμίλκας), was borne by the high priests Jesus ben Phabi, Ishmael ben Phabi I., and Ishmael ben Phabi II. 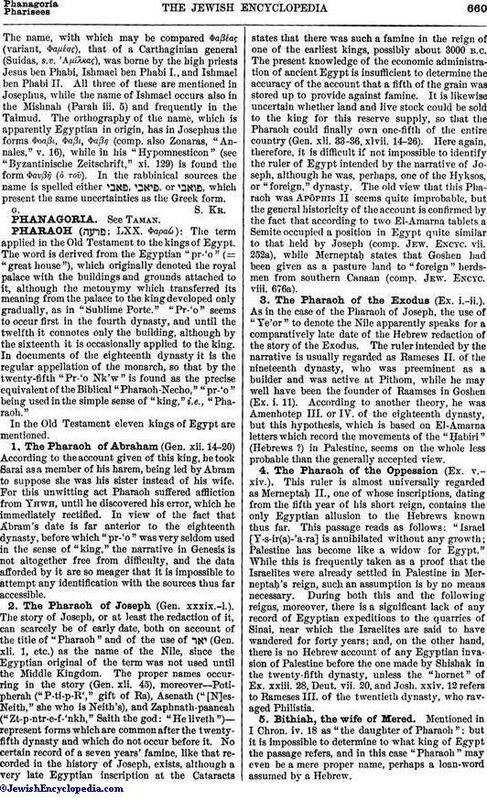 All three of these are mentioned in Josephus, while the name of Ishmael occurs also in the Mishnah (Parah iii. 5) and frequently in the Talmud. The orthography of the name, which is apparently Egyptian in origin, has in Josephus the forms Φοαβι, Φαβι, Φαβη (comp. also Zonaras, "Annales," v. 16), while in his "Hypomnesticon" (see "Byzantinische Zeitschrift," xi. 129) is found the form Φαυβι (ὁ τοῦ). 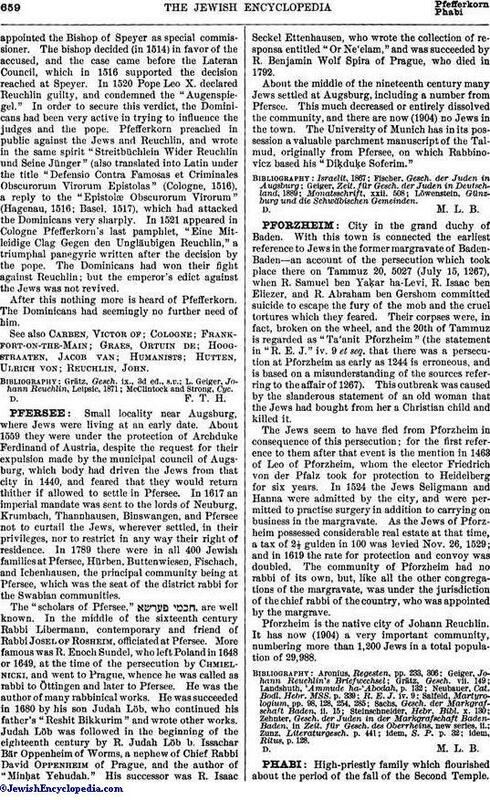 In the rabbinical sources the name is spelled either or , which present the same uncertainties as the Greek form.